Although there are a lot of great makeup brush brands out there, I do believe that MAC has some staples that every beauty lover should have in his or her collection. I only have a handful of makeup brushes from MAC, but my collection is steadily growing, and out of the ones I own right now four of them are staples that I cannot live without. So, here are my MAC makeup brush essentials. 217 ($24)| This is probably one of the most popular brushes from MAC that everyone knows about. It is a great dense, but slightly fluffy, blending brush, which makes it very versatile. The bristles are not scratchy on the eyes, and you can use this to pack color on to the lids, blend in the crease, and some even use it to blend their concealer. If you’re going to buy any brush from MAC I would suggest this one because of how versatile it is. 224 ($32)| This is another blending brush that is very popular, but it’s not as popular as the 217 nor is it as versatile since you shouldn’t this with cream products. I got this because the man at the MAC counter told me that since I have bigger eyes this would blend my crease shadows out better than the 217. It does blend eyeshadow out beautifully, but isn’t one that allows you to really pin point color exactly where you want it like you can with the 217 since this one is fluffier. The bristles, again, are soft, but this isn’t the softest blending brush I’ve felt. It can feel a bit scratchy on the eyes at times depending on how sensitive your eyes are, but it’s not like this hurts or anything. I always use this when I want my eyeshadow to look extra flawless and blended out. 168 ($35)| The large angled contour brush is perfect for powder bronzer, contour, and even blush, which, again, makes it very versatile. However, I would not use this with cream products. Personally, I love this for bronzing or contouring because the angle allows you to really get product into the hollows of your cheek bones, while the bristles blend it out beautifully. If you have a hard time blending out contour or bronzing powder then I suggest trying this brush out because it really makes doing your cheek-work (that’s not a word) a breeze. 109 ($35)| This is another contour brush, but it is the small contour brush. Regardless of the name, I like to use this with powder blush because I find it small enough to really apply your blush where you want it, and it is so soft that it blends out product very easily. You could use this as a contour brush since it is small enough to place product in the hollows of your cheeks, but I find it works better for blush for me. Blush brushes tend to be very large, which means you get blush all over your face so this is the perfect size for precise placement. I know MAC brushes can be pricey, which is why I like to buy one every few times I go to MAC so it doesn’t feel like I spent all my money all at once. At least that is how I justify it, and make myself feel better about it! Regardless, if you take proper care of your brushes they should last you a long time. I will say they do shed occasionally when I wash them, but it is usually only like one hair that comes out, and that is understandable. It doesn’t shed drastically or every time I wash them otherwise I would not be spending my money on them. 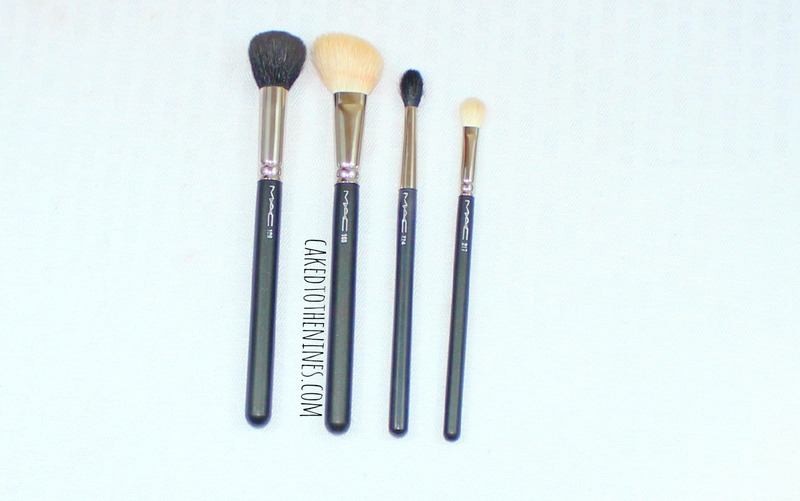 What are your must have MAC makeup brushes? Let me know in the comments below!